Yingge, Taiwan is the country’s undisputed center of pottery and ceramics. 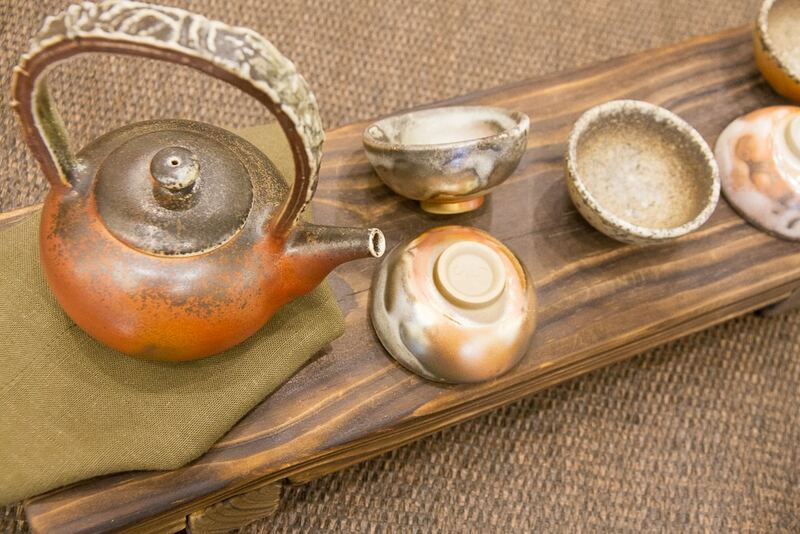 Taiwanease ceramics range from perfect renditions of ancient Chinese styles to creative, modern innovations. 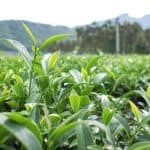 For a country that is one of the world’s great producers of quality, artisanal teas, that makes Yingge a sort of Mecca for tea enthusiasts who are searching for ideal tea ware, and I consider it one of the most memorable places to visit in Taiwan. 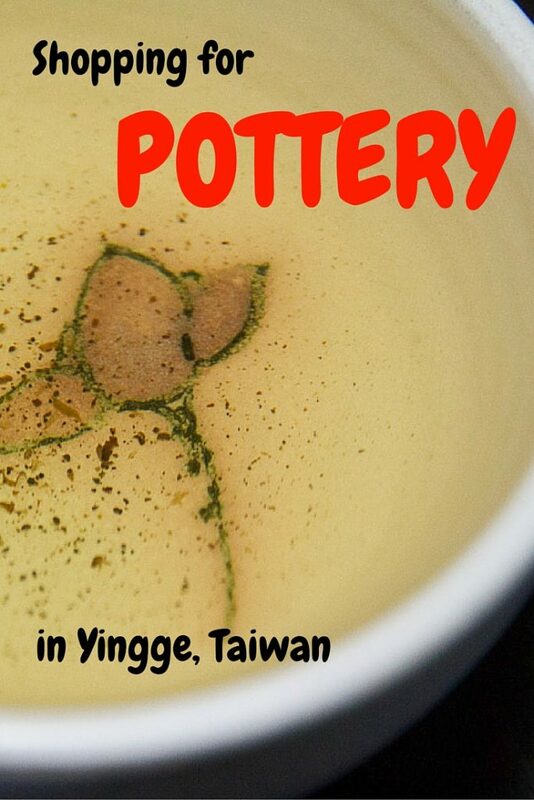 In this article, I’ll tell you everything you need to know about buying Taiwanese pottery in Yingge, Taiwan and visiting the Yingge Ceramics Museum. Then I’ll finish with a story about my Taiwanese tea set that I bought with Lavender, my 1-year-old daughter, in Yingge. If you would like to visit Yingge with a knowledgeable local guide, check out this Yingge and Sanxia half-day tour, and here’s a link if you want to book a DIY pottery making experience in Yingge! 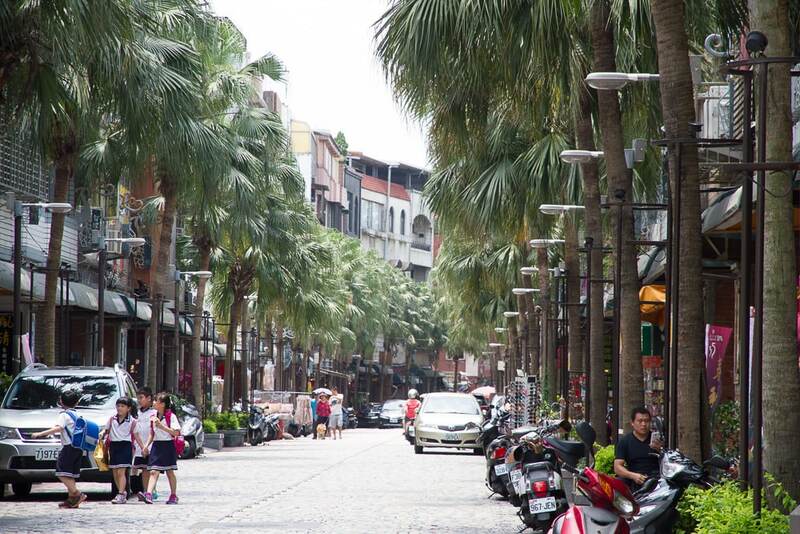 The small district of Yingge is located in the west of New Taipei City, a mega-city that surrounds Taipei City proper. It is 20-30 minutes by train from Taipei Main Station to Yingge, with departures every 15-30 minutes. You don’t need an advance ticket, and you can even pay by EasyCard. After you exit the train station, turn right and walk along Wenhua road for five minutes. When you reach a creek, for the Yingge Old Street, turn right through a small tunnel, then take your first left (Jianshanpu st.) and walk up the hill to the start of the Yingge Old Street. For the Yingge Ceramics Museum, stay on Wenhua road as it turns south, and you’ll reach the museum in five minutes. There are many signs, so both are easy to find! 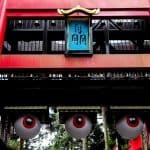 Many people like to combine a trip to Yingge with nearby Sanxia, which features a popular Old Street (some ceramics are also sold there too, but it’s more a bit of everything), and Zushi Temple, one of the most beautifully ornate temples in Taiwan. Bus #702 travels between Banqiao MRT station in New Taipei, Yingge, and Sanxia. A taxi between Yingge and Sanxia is much faster and takes 10 minutes (approx. NT250). Yingge Old Street (Yingge Ceramics Street) is technically made up of two lanes that connect at the eastern end, where you first arrive from the station, like a V. Jianshanpu Street, is the traditional Old Street and is lined with palm trees, while Chongqing Street, the other side of the V, contains newer shops and some historic kilns. A smaller alley, called “Taoci street (Pottery/Ceramics Street), connects the two sides again further down, and is the location of a brand new Yingge Ceramics Mall (鶯歌光點美學館). Almost every single shop along these two streets sells some kind of pottery, ceramics, or tea ware. Yingge’s pottery ranges wildly in price and quality, from cheap, factory-produced functional ware, to gorgeous, astronomically expensive works sold from shops that look more like art galleries. It’s impossible that you won’t find something to suit your taste and budget. 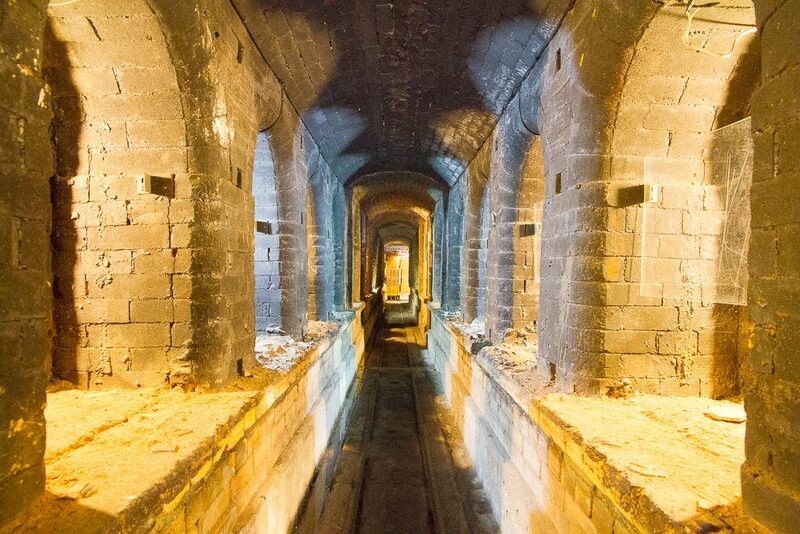 Besides all the pottery shopping, you can actually go inside two old pottery kilns on Chongqing street. 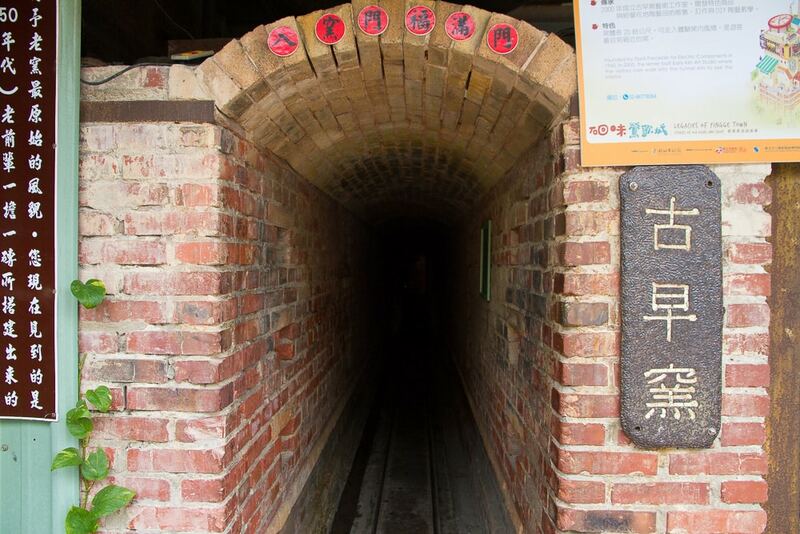 The first is Guzao Kiln (#95), which also has a DIY pottery shop beside it where you can even try making your own pottery (NT100-250). The second is Qingzai Kilm (#65), which has a tall chimney, tunnel leading up into it, and has now serves as a mini-mall full of more ceramics shops. Most shops are open 10 or 11am to 6pm. For much hundreds of years, Taiwanese ceramics production has been dedicated to purely functional items. It was the Dutch and then Chinese who first imported pottery technology from Mainland China in the 1600s, replacing the more rudimentary techniques of Taiwanese aboriginals. Throughout the Qing dynasty, most fine Taiwanese pottery was actually imported from China. During the Japanese era, Japanese and Western styles flooded in, but the pottery produced locally remained functional. After the Japanese left, local production burgeoned, but it wasn’t until the 1970s and on that a shift finally took place in Taiwan’s pottery to more artistic craftsmanship. 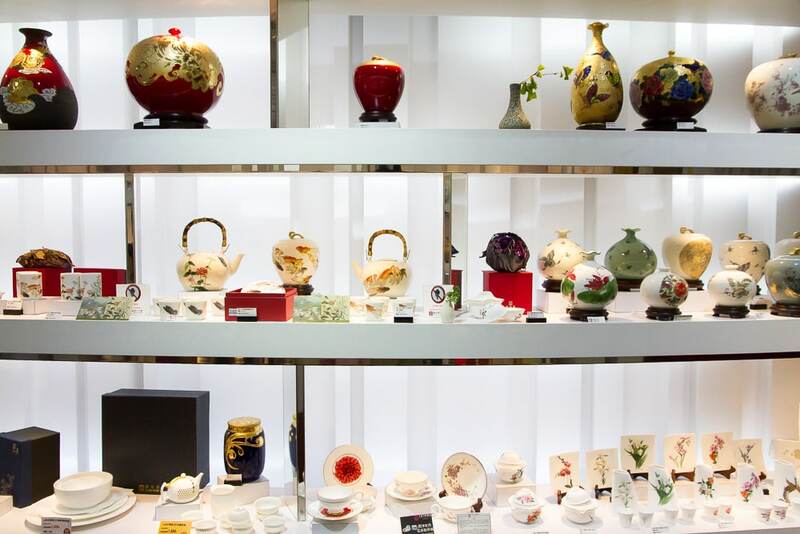 Even today, some Yingge’s pottery shops still specialize in run-of-the-mill flowerpots, kitchenware, and teapots that look like they were produced by the million on a production line. 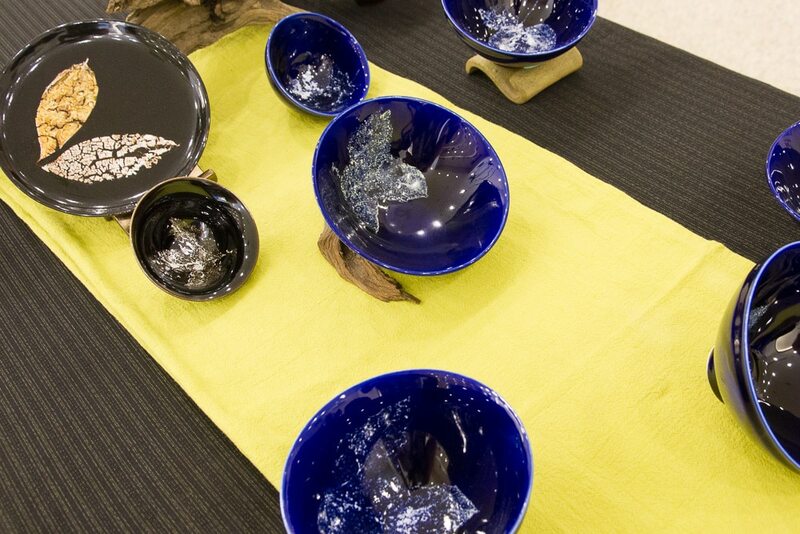 Since the 1970s, ceramic arts have flourished in Taiwan and artists are continually pushing the boundaries. 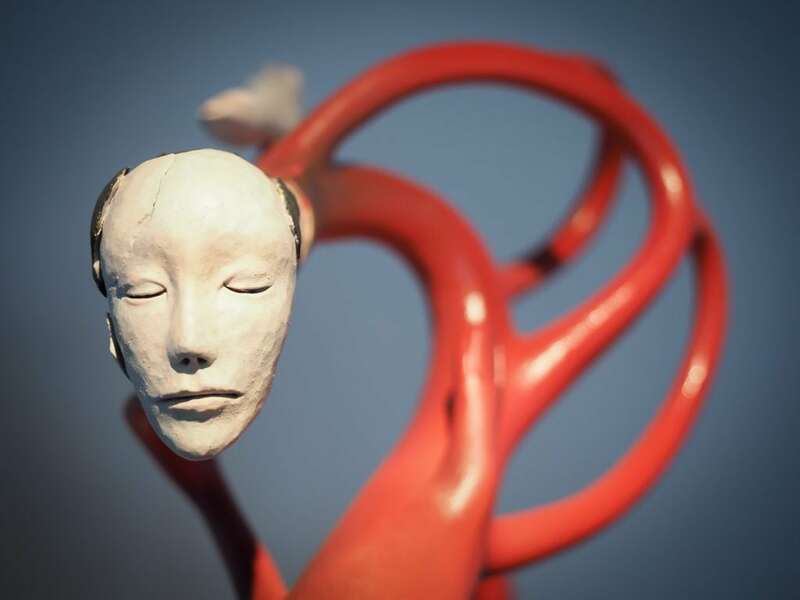 Thanks to active support from the government, including the establishment the Yingge Ceramics Museum, thousands of artists have flocked to and settled in Yingge, and so much of the ceramics displayed today are works of art rather than utilitarian. 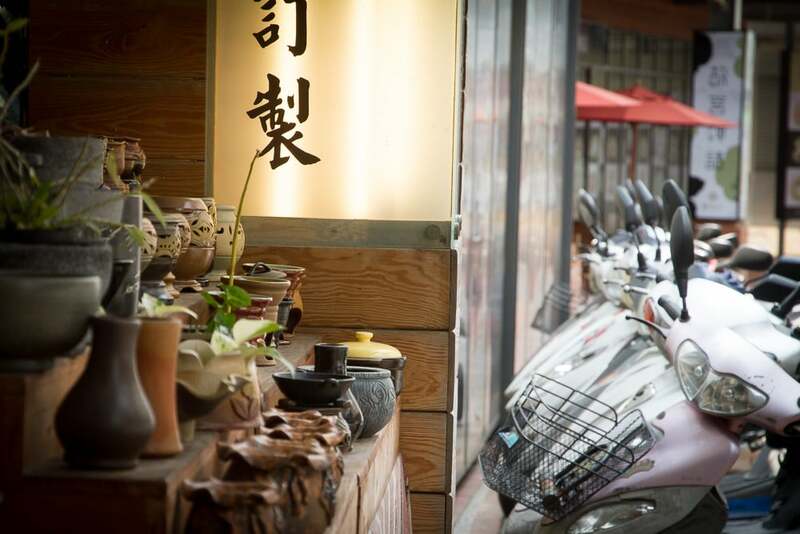 Today, there are more than 800 businesses dedicated to pottery and ceramics in the Yingge area and on the Yingge Old Street! 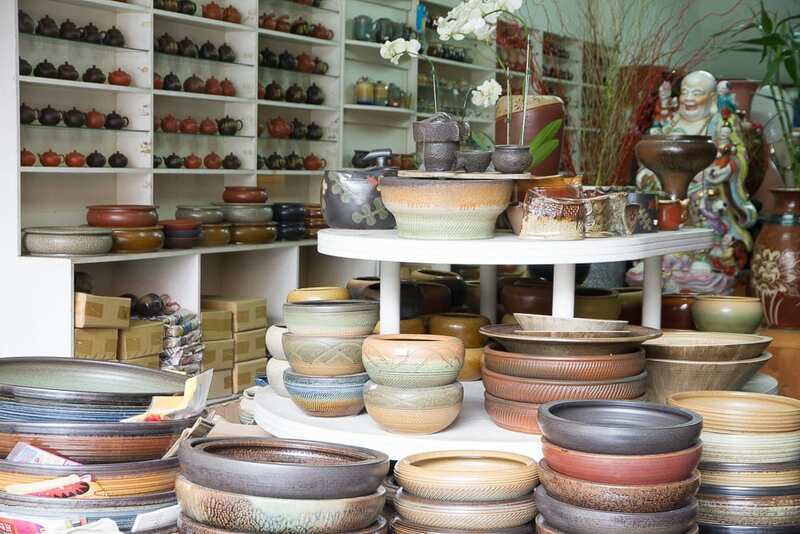 Whether you are in Yingge to buy or just to look, a visit to the Yingge Ceramics Museum is a must. 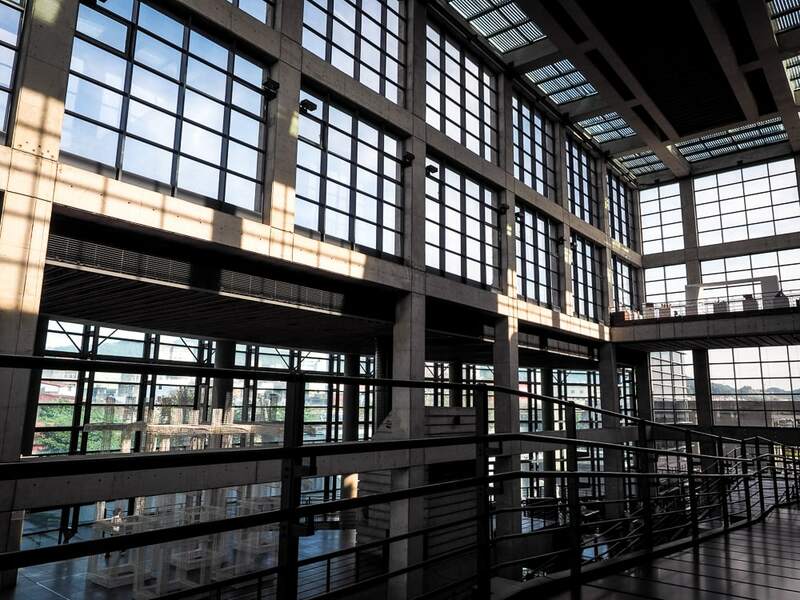 Opened in 2000, the building itself is a fine work of architecture; you’ll probably spend some time in the atrium photographing the mostly glass walls before you even look at a piece of pottery. 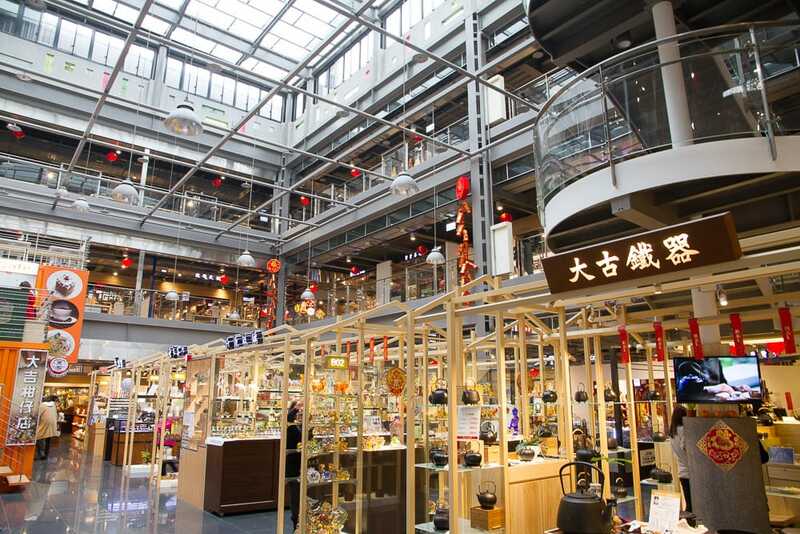 The museum covers 200+ years of Taiwanese ceramics spread over two floors, and you can easily spend an hour or more here. There is also a park beside the museum with a playground for kids and more artworks on display. Entrance is NT80 and the museum is open 9:30-5/6:30 on weekdays/weekends. It is closed on the first Monday of every month. Here’s the Yingge Ceramics Museum website. Despite living for years in Xinzhuang, a 15-minute drive from Yingge, I only recently visited Yingge for the first time because I was never really interested in pottery so I didn’t feel any major need to go. But recently I’ve been getting into tea and writing a lot about the amazing tea in Taiwan. And as you probably know, good tea tastes even better in a proper ceramic receptacle. I’ve been using the same tea bowl for ages, but my two-year-old Sage son recently knocked it off the table and cracked it. So this gave me an excuse to finally visit Yingge! My first visit to Yingge was actually a few months ago on assignment for a local travel magazine, but we spent most of our time interviewing a local potter and I had no time to do any shopping of my own. On that trip, we spent several hours with one such artist, named Joyce Lin (林映汝) at her studio, Taocheer. Lin has made a name for herself by reproducing a Song-dynasty style of black-glazed dishes with inlaid leaves, but she has improved on the style by adding her own touches. She has discovered new types of leaves that work in the process (only 10 known types of leaf can withstand the high temperatures required during the firing process), she uses different colors than were traditionally used, and each one of her pieces is entirely unique, with themes inspired by her daily experiences and observations of nature. I really wanted to buy some of Lin’s tea ware that day, except there was one problem: the cheapest item in her entire collection was NTD6500 (USD200) for a single little teacup. Today, I’ll be looking for something a little more budget-friendly. As a stay-at-home dad, I do most of my tea drinking alone, so I want an individual teacup, referred to as a chan na (禪那). Chan na is Mandarin for Dhyana, a Buddhist term for the meditative levels or states of mind that one achieves on the path to enlightenment, alluding to the contemplative nature of drinking tea in a solitary fashion. I want my chan na to be on the bigger side, for I tend to enjoy larger cups of tea than the standard thimble-sized ones that many locals use. What’s more, I want the cup to come in a set, and I want that set to be compact, as I don’t have much free space in my house. 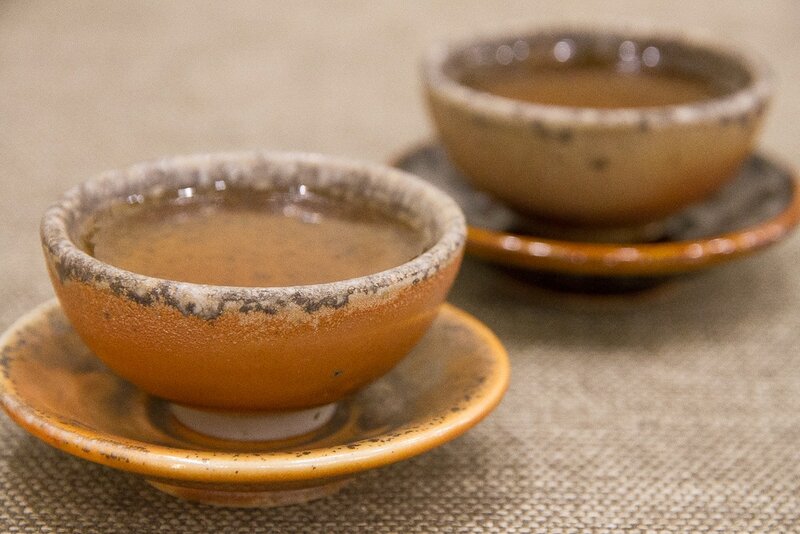 I want the set to include a gaiwan (a lidded cup for dispensing the tea), but I don’t need a teapot since I am content brewing directly in the gaiwan. Last but not least, I want something that is calming and feminine in appearance, in the hope that it can balance out the excessive yang energy that I’m frequently overwhelmed with as the father of two high-energy toddlers. And finally, I want something to honor the life of our second child, our daughter Lavender, who will join us on our trip today. Besides all the things that I do want in my new tea set, I also have a clear idea of what I don’t want. I don’t want something that is purely functional. I also don’t want something that is or looks like it has been mass-produced, and I don’t want something that is just a copy of a classical Chinese style. Don’t get me wrong; China, the mother of porcelain and ceramics, produces some of the most exquisite and elegant pottery in the world. A lot of the finer pottery produced in Taiwan are just perfected copies of famous styles invented in the Tang Dynasty, Song Dynasty, and so on. On the flipside, I don’t want something that is purely decorative. It’s a 11 a.m. on a Monday morning when we arrive, so the shops are just opening and the Old Street is delightfully free of visitors, but the sun is scorching hot. Emily soon grows bored and starts complaining after the first two shops, but she is totally aware that I am in ceramics heaven and need some time for this. A tea set is something that I will use every day, and that I will build an intimate relationship with. My selection will have an impact on my mood in the days, months, and hopefully, years to come. “Now you know how I feel every time we go clothing shopping!” is my only response to her. We agree that she will take Lavender for a stroll so that I can resume my quest without distraction. About halfway down Jianshanpu Street, I find the first tea set that meets all of my criteria upon inspection. Except the price. At NT$7000 (US$215), it is more than twice what I was hoping to spend, and so I reluctantly move on. A few more shops in and I spot the second contender. A soft pastel Lavender (my daughter’s name!) tea bowl and gaiwan rest delicately atop a matching rectangular ceramic tea plate that is no more than 20 centimeters long. The material is silky to the touch, and the cup fits perfectly in the palm of my hand. 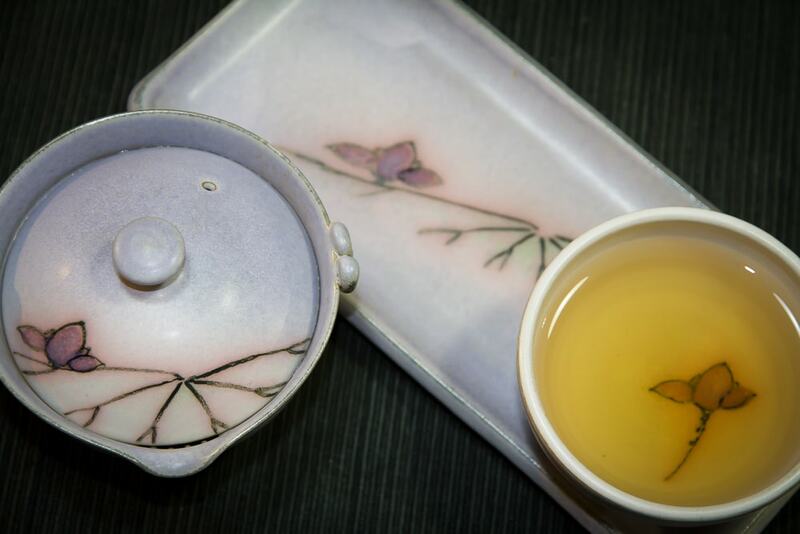 A simple flower design adorns the lid of the gaiwan, plate, and interior of the cup. In short, everything about the tea set is unique, at least in comparison to the hundreds (thousands?) of tea sets I’ve already looked at today. Within moments, I am approached by one of the women working in the shop. I just overheard her having the same conversation that I always hear clerks having with each other in Taiwan when I enter a shop: “It’s a foreigner! Which one of you wants to go speak English with him?” And so the woman nervously welcomes me, but breathes a huge sigh of relief when I start asking questions in Mandarin, knowing that I won’t get much information out of her if we continue this conversation in English. She yells back to her coworkers, “He speaks Chinese! Don’t be scared la!” upon which the others gather around me and begin asking me questions about who I am and why I’m in Taiwan. Despite the shyness of younger generations, the Taiwanese are famously nice, especially to visitors. Upon my inquiry, it turns out the set was made by a female artist based in Taichung. Everything about it is perfect, so now comes the deal breaker: the price. At NTD1800, plus an immediate “discount” that I don’t even have to ask for, it comes to NTD1600 (USD50), which is well under my budget. But still, I have learned from previous experiences that every time I buy something (usually in haste because I generally hate shopping), I find something better, or the same thing for cheaper, down the street, so I tell them I’m going to think about it (which in Mandarin, just like in English, comes across as a polite “no”), and continue on with a promise of returning once I find my wife and daughter. I check several more shops before I do find them, and no other tea sets compare. Not even close. I know that I’ve made the right decision. I’ve met up with Emily again. Lavender, strapped to my chest, is getting antsy for food and rain clouds are looming, so it’s time to go. Back at the shop, the clerks are shocked to see me return but this time with a baby, and they are all over her in an instant. My annoyingly detailed questions about my tea set are largely ignored as they pass Lavender around, taking turns posing in pictures with her. People in Taiwan are extremely curious about “mixed-blood” babies, and both Sage and Lavender are extremely popular everywhere we go. Forget about the stereotype that Western foreigners get lots of attention in Taiwan. Try Western-Taiwanese babies! So now I am back at home, and my new tea set will remain carefully protected and out of reach from the kids, to be taken out and enjoyed every day for my private teatime when they are down for their nap. Unable to wait, I take it out that evening while Emily is at work and the kids are distracted by some toys. What tea shall I use to christen my new gear? Without thinking, I choose a white tea. Simple, gentle, and unassuming; it is a perfect match for my new tea set. I linger to feel the heat of the cup in my hand and then take my first sip, and it is good. Really, really good. Thanks for the nice voyeuristic journey through the pottery stalls of Yingge. 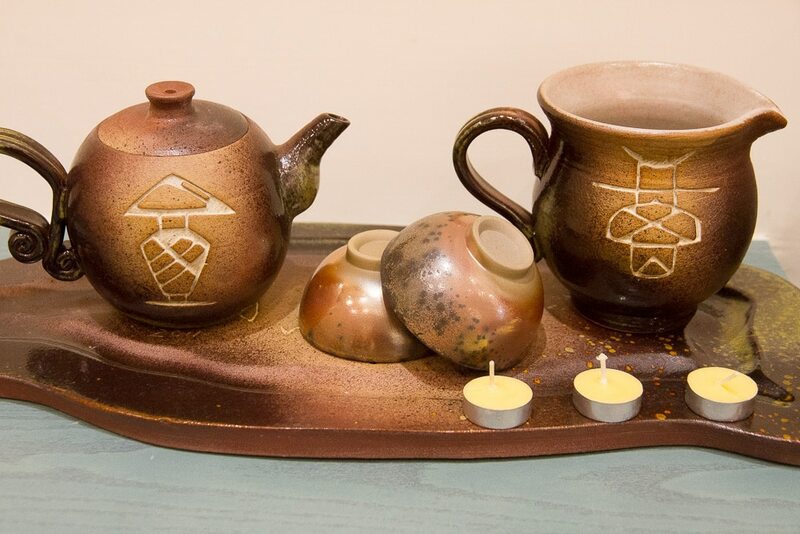 Inspired me to brew some tea, albeit with a functional ceramic tea set. Cheers, man. Some nice inspiration for next rip here. Noticed your Taiwan East Coast pt2 page links to everwebapp.com rather than the Taiwan content. You might want to check on that. THANKS and look forward to visiting back to your site soon again.